This is a class for painters of all levels. Beginners are welcome. 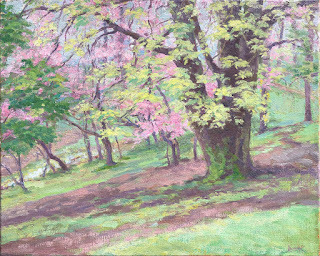 Spring Landscape class starting soon- Saturdays 10-1, April 27th thru June 15. Fee $220 (Such a good deal. It really should be more- feel free to tip me). Supplies are the student's responsibility. A supply list will be provided. Location: First class meets at artist's studio in Eden Park; then at various parks thereafter . One thing I will be stressing is that what we are doing is landscape painting- and not Plein Air. We are Americans! Students are not allowed to call it 'plein air' unless they are actually French. 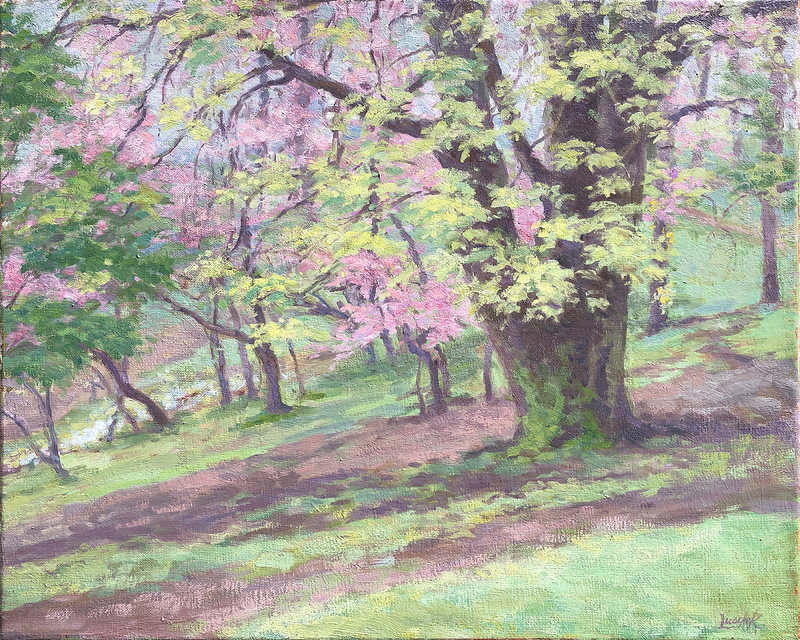 Springtime in Eden Park, 16x20, oil on linen, © Richard Luschek 2019. I am a painter and illustrator working in my studio in Eden Park. ver⋅i⋅si⋅mil⋅i⋅tude [ver-uh-si-mil-i-tood, -tyood] –noun 1. the appearance or semblance of truth. 2. something, as an assertion, having merely the appearance of truth.